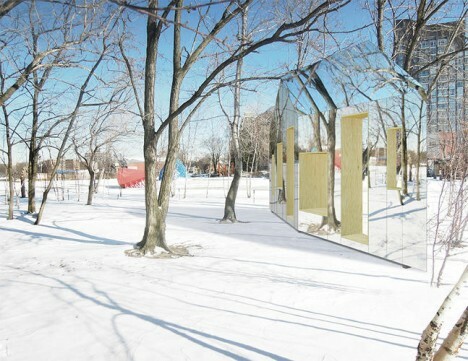 Like a mirage on the horizon, the structure seems to shimmer into and out of existence, playing tricks on the eye with a combination of see-through portals and reflective surfaces. 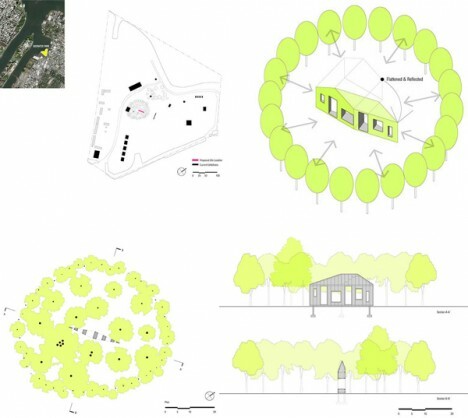 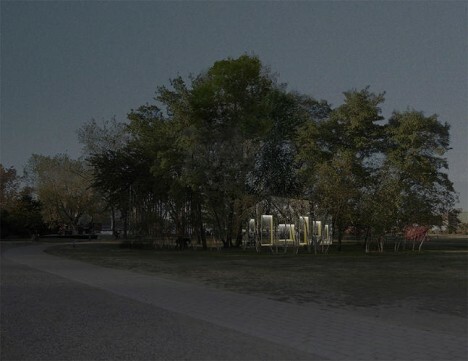 Designed for the 2014 Folly Competition held by The Architecture League, the idea was to slip something into an existing park context that would draw attention and generate interaction. 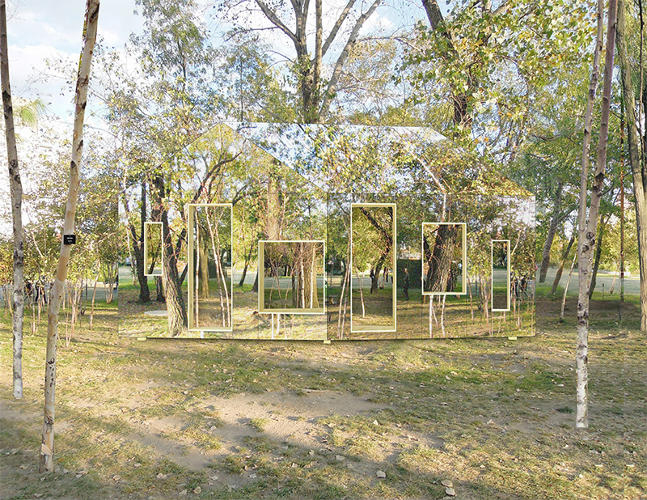 Deceptively, the building itself is nearly two-dimensional, adding another element of camouflage depending on the angle of view or direction of approach. 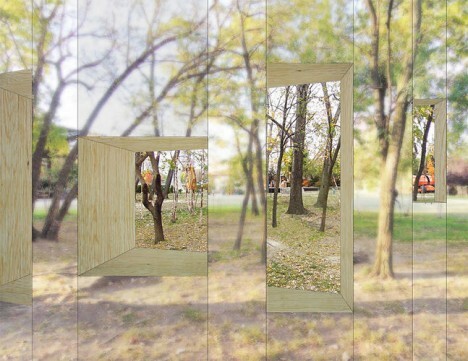 Unlike its more solid cousin the invisible cabin, the result in this case could really catch you by surprise, but is still probably less dangerous to walk into by accident than a mirrored fence. 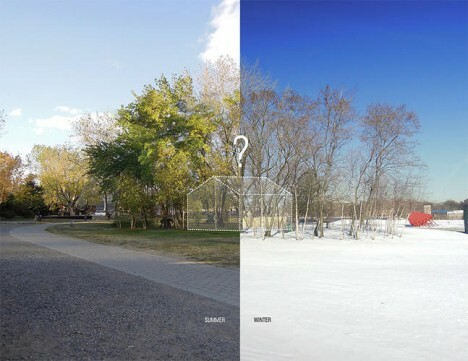 One of the self-imposed problems its designers sought to solve revolved around the question of year-round engagement – how to make something that changed and was worth revisiting from one season to the next.